Coqui Selection, Martin Solveig, Return Of The Jaded, DJ SKT, Paul Sherriff and more. thank you for flying, Enjoy the ride. Please support: Like, Add, Fav, Share Re-post the mixes. 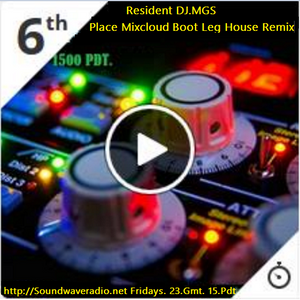 Hi Everyone, #6th Boot Leg Remix House Chart, Woo hooo!!! What can I say... I did not Expect this Mix to make it to a to a number 10 Chart, Wow, This has really moved me, Thank you fans, and listeners alike for your encouragement and for your continued support in the mixes. Mark Resident DJ.MGS http://Soundwaveradio.net and to every one @ the Station @ SWR!!! This is great news matey i am really pleased for ya...Quality session Sir!! Mgs is rocking the world! !